Me & Inky Fingers @ the Spring Fling! I’ll be MCing at this awesome event. Gonna be one of the best nights of the year: seriouslu. Don’t miss it. 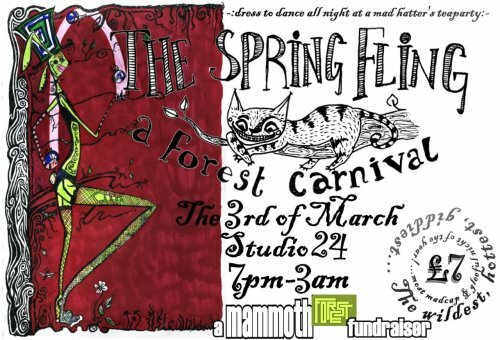 THE SPRING FLING: A Forest Carnival! featuring MC Tickle, Alec Beattie, Caitlynn Cummings, Colin McGuire, Rachel McCrum, Louise Boyd and more to be confirmed. We’re relaunching the SAVE THE FOREST Fundraising Campaign in spectacular style with this, the biggest, wildest, gleefullest, giddiest night of the year so far. Expect more news of what to expect soon, and info about the latest from the Forest fundraising campaign. We’re also still recruit for volunteers to help run the event: see here for details.